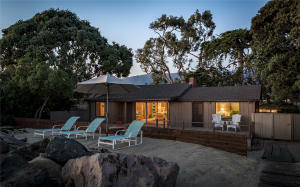 Known to its residents as “Sandyland,” this is a guarded and gated residential enclave in Carpinteria. Approached along a private road that crosses the Carpinteria Salt Marsh, this community enjoys sweeping bird sanctuary and mountain views in addition to its lovely ocean and island views. Because the houses are so far from the freeway and railroad tracks which run along our coast, Sandyland Cove is more peaceful than most of our other beachfront neighborhoods. The fact that the beach in front of the homes in Sandyland Cove is adjacent to the Carpinteria State Beach represents both an advantage and disadvantage to homeowners in Sandyland. Homeowners feel that the advantage of having the shops and cafes of Linden Avenue just a short beach stroll away far outweighs the disadvantage of perhaps less privacy from the sightseeing public beachgoers. And the ever vigilant and patrolling guard at Sandyland assures homeowners that only they and their invited guests are enjoying the use of their beachfront decks. All of the 37 homes in Sandyland Cove are beachfront. 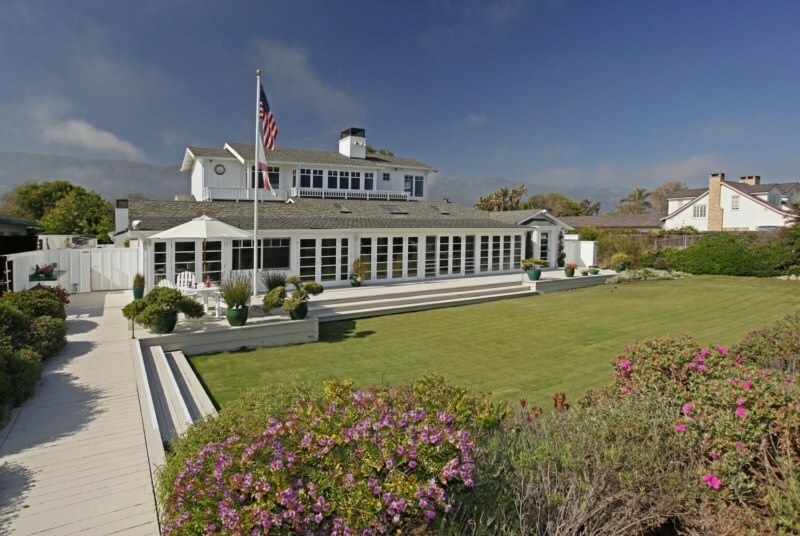 The standard lot size has a 38′ beach frontage, though many houses are built on double lots. Many homes are built to take as much advantage of the lovely mountain and bird sanctuary views as the ocean and island view. A large seawall protects homeowners along the entire length of Sandyland Cove. Click on the following map to enlarge it and view the location of all sales along Sandyland Cove that have sold since 2000. Properties that are multi-colored have sold more than once during that time and their sales can be tracked by looking at the various colored years.